It’s a “search first” world. That means every marketer working for a B2B Industrial Technology Company should be excited by the positive impact that can be achieved through Search Engine Optimization (SEO). Before we get into the Why, How, and What to Do’s, first feel free to test your knowledge of SEO in this mini-quiz. After hitting submit you’ll get to see your score. Did you Ace your quiz? Would you like a do-over? Regardless of your score, the in-depth guide that follows will provide you with new information and data-driven recommendations that you can leverage to drive even greater marketing success for your company. This post comprehensively covers everything from the challenges you’ll need to address to get organizational buy-in for your SEO strategy to the tactics you’ll ultimately use to win at search. 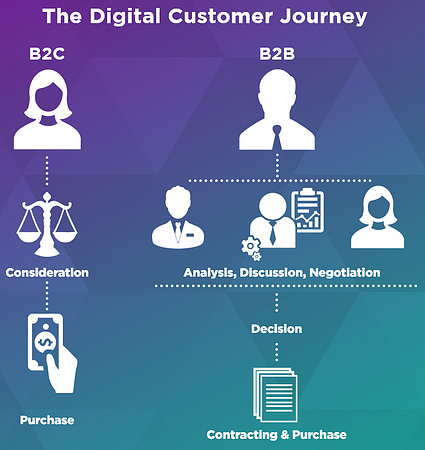 The diagram shows the increased complexity of B2B purchasing decision contrasted with B2C. SEO for B2C is straightforward. Your landing page(s) in B2C are only accessed by the decision maker - outside factors are drastically reduced. B2B landing pages are further removed from purchase decisions and often do their most meaningful work early in long buying journey. This makes it easier for B2B SEO’s value to be lost to the noise of other factors that make their influence felt in closer proximity to a purchasing decision. 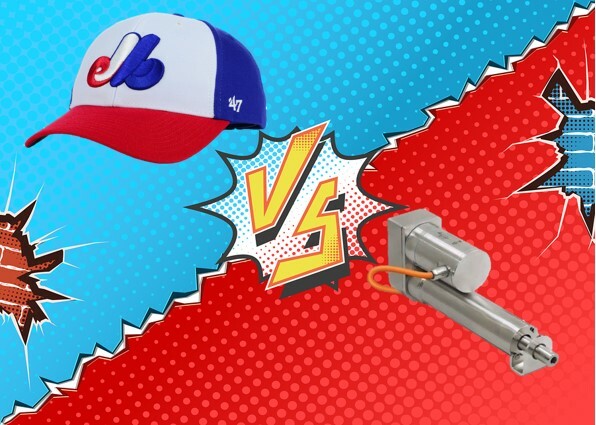 To further illustrate this point, lets consider how landing pages work for a baseball cap purchase (B2C) contrasted with how they work for the purchase of a linear actuator (B2B). Landing pages that are SEO’ed for baseball caps will be targeted for searches such as, “latest baseball caps,” “hottest baseball caps,” “where to buy expos caps,” etc. My decision to buy a cap and my actual cap purchase are temporally very close. It’s unlikely I will do a lot of pre-purchase research. Linear actuator investigations go differently. The landing pages I’ll be looking at will be almost entirely informational up until purchase. Good SEO will target things like, “linear actuators for [specific application],” “linear actuators with travel range of…,” “linear actuators with voltage of…,” etc. From these searches I will define a consideration set and then search out further information, like the specs and pricing of actuators in that set. All that information will then likely circulate amongst a host of decision makers, many of whom will have no need to visit a landing page. By the time a purchase is ready to be made, the contribution of those early landing pages may be lost entirely. 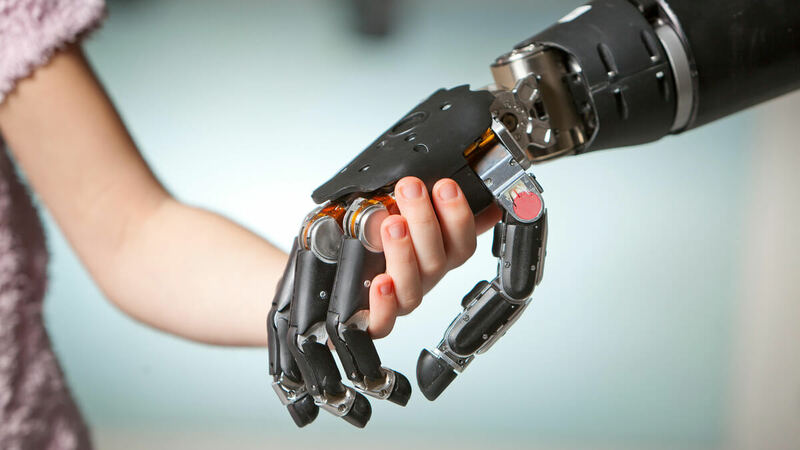 Adding insult-to-SEO-Injury, the person making the purchase will likely search “Contact information linear actuator company X,” when making the purchase. Since your Contact Page gets their hit, the contribution made during all that earlier research will be completely lost. An optimized page is designed to send signals to the search engines that the page does a better job answering the search query, and thus should rank higher than other results simultaneously presented to the searcher. Whether starting from a fresh page or from a newly updated older page, that signal will only be picked up over many searches. With time, you’re optimized page will gradually rank higher. However, until you’ve moved up to the first page of results and into the top 3-5 links listed by the search engine you’re not going to see spectacular results. This won’t take years, but it also won’t be felt in a week either. Contrast SEO with “price per” tactics like AdWords or email campaigns and you can see why investment in SEO is a difficult tactic for many C-Suite types is to support. 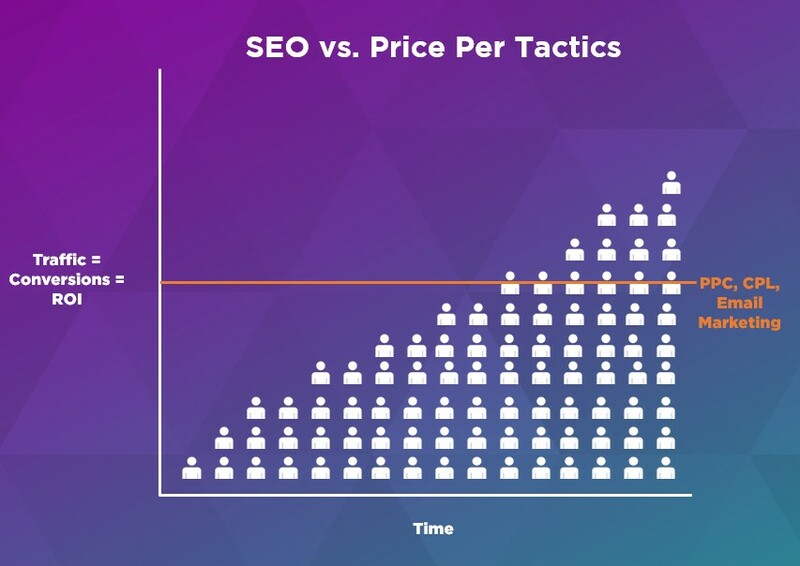 With those other tactics, you’ll get a predictable and set rate of return, whereas with SEO you’re going to see high upfront costs that may not ultimately prove worthwhile if you’re not fully behind SEO as a tactic. If traffic to your site were a tap, investing in SEO is like turning the tap further to the right. 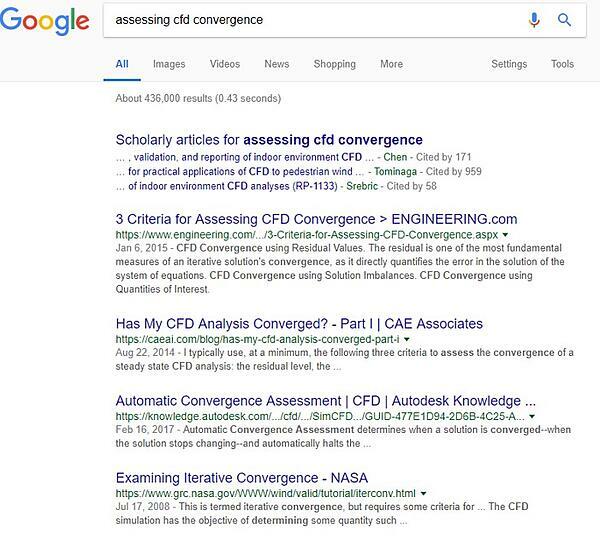 77% of engineers said that Google was their preferred means of gathering engineering information, 16% higher than their next most preferred channel digital publications – which you guessed it – they find with Google. You’re only going to gain access to all those prospective buyers if you’re on the front page and within the top 3-5 search results. Don’t believe me – just think of the last time you went past Googles first page. SEO is the only tactic that gets you to those rankings deliberately, consistently, and keeps you there. Before breaking it down further, I want to point something out that is somewhat frustrating when wrapping your head around these factors: They’re all interrelated. I.E. Great content earns lots of links and RankBrain will recognize how users spend a lot of time consuming that great content, which in turn gives it a higher RankBrain score. Instead, they’ve devised numerous ways to judge content quality by looking at external variables. For instance, length of articles as a measure of content quality is one such input. Of course, if everyone bounces off the page after a few seconds, the page will be penalized no matter how long it is (more on that in RankBrain), but the starting point is that longer content will more thoroughly address a topic and is therefore a rough proxy for quality. Brian Dean of Backlinko analyzed over 1 million Google Searches to determine ranking factors. Below you can see a graph borrowed from his study showing the relationship between length of article and Google SERP ranking. The above shows a pretty clear pattern. Longer, more thorough treatments, are much more likely to come out on top. Other content signals that are considered include not overcramming your page with keywords, structuring your pages so that its easy for Google’s crawlers to understand how various sections on a page relate to one another (e.g. table of content, on-page linking, H2&H3 Tags with keywords), and appropriate use of multimedia (video & images). When someone links to your page they’re making a declaration that the page is a worthwhile read. It’s a strong indication that the page is of high quality, and thus Google weighs it so heavily links are discussed in the SEO world as a standalone indicator. Different types of links also have different value. Links from sites that have higher domain authority (for instance engineering.com) are viewed as more valuable by Google than links from lesser known sites. A worthwhile read on links is Moz’s guide to link building. In it, they discuss different types of links and how to build them. One thing they don’t address is links from social media. One question often asked by people working in SEO is how valuable links from social are for SEO purposes. The short answer is, ‘links on social are not considered in Google’s rankings,’ that being said, Google acknowledges there is a high correlation between top ranking pages and social shares. What you can derive from this is that a good page will spur sharing in blogs, other people’s landing pages, and likewise on social. As such, its not a factor in and of itself, but if you see your article was shared a couple hundred times on LinkedIn you can be confident that its getting shared elsewhere. SEO Master Tip: Don’t forget to examine the inbound traffic to your landing page in Google Analytics or with a tool like SEMRush. This information can be instrumental in both link building and in judging the success of your ongoing SEO efforts. It’s no secret Google sees itself as an AI company both today and going forward. RankBrain is Google’s machine learning answer to search. Simply put, it learns whether pages adequately answer peoples’ queries. What RankBrain does is look at how I interact with the results that Google delivers. Let’s say I click on the top result from engineering.com. I thoroughly read the article but want to look at another article or two to independently validate what I first read. I decide to click on the article from Autodesk next. It’s a medium sized article and since I already read a lot from engineering.com I scroll through looking for new information and for information that validates what I already learned. I find what I want and bounce back to Google for one more look. My next click is given to the article from NASA, but as it loads I can tell it’s a very old article (from 2008 actually), so I quickly press “back” and return to the Google search engine results page. Result from engineering.com are better than the page from Autodesk, which in turn is better than the old page from NASA, which is still better than the one from caeai.com that I didn’t click at all. I clicked on engineering.com, Autodesk, and NASA but not caeai.com. I spent the longest amount of time dwelling on engineering.com, the second most on Autodesk, and the third most on NASA. Oh and in case you were curious, RankBrain is outperforming all of those geniuses in Google’s engineering department. As far back as 2015, when most business people weren’t even aware of machine learning, RankBrain was outperforming Google’s engineers’ algorithms by 10%. Side note: If you’re interested in Machine Learning, you may want to take a look at my recent article on how engineering.com is using Machine Learning to improve email campaigns. 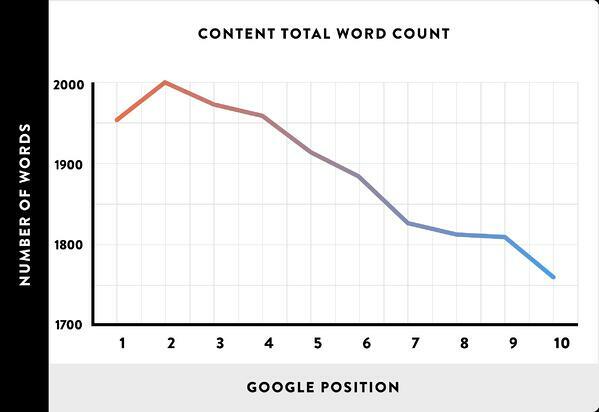 Longform content is where you want to be if you’re planning on winning the SEO game (hint: look at the length of this post). We’ve already covered why, so let’s jump into how as a B2B industrial technology company can get started. The best place to begin is your site as it exists today. Look at what pages are driving traffic and conversions. Almost certainly, your conversions will be skewed towards bottom-of-funnel content (pricing guides, implementation guides, case studies, etc.) but you’ll likely find a few hidden top-of-funnel gems that both pull more traffic and convert higher than baseline. Ask yourself, are these pages the most thorough treatments of their subject that they could be? Start there and build those pages up. These pages are already doing something right, and since you already know they’re winning it shouldn’t be too difficult to discern why. Referring sites are a great indicator. 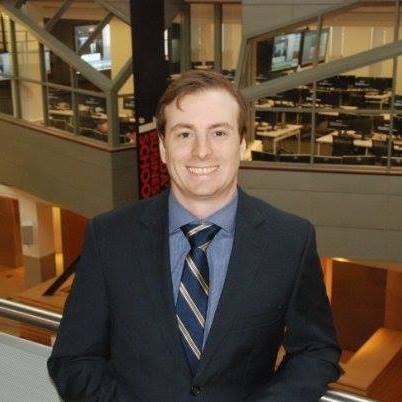 If you’re looking for some tips on how to write great content, John Hayes recently gave an inside look at how engineering.com’s editorial staff creates content. Once done with the low hanging fruit, the next easiest targets are the questions your sales team regularly answers. Grouping similar concepts together into “everything you need to know about…” omnibus posts that you regularly update are great here. Tag on a term like “Ultimate Guide to…” and you’ll be sitting pretty. Original research as an SEO play is a subset of Long Form Content, but unique enough to be worthy of its own treatment. Google wants to know everything. By authoring original research you’ve created something that doesn’t exist anywhere else on the web and that makes it valuable to Google. You know who else really loves original research? Journalists, bloggers, and other marketers. By providing the data that helps make their point you’ll earn valuable backlinks that benefit your search engine ranking. Boost your likelihood of being linked and referenced by including graphics or videos in your research that other content creators can include in their work. As you’re looking to build backlinks you should focus on a research topic of broad interest across your buyer personas. 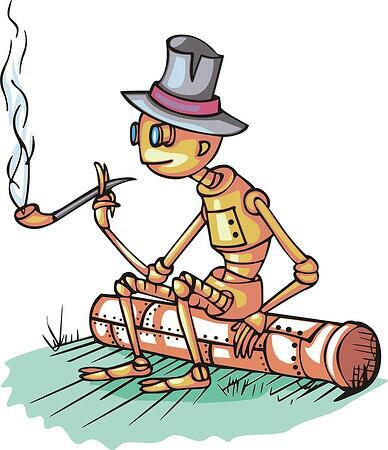 Something that will pique the interest of the C-Suite down to engineers designing solutions. If you’re trying to think of what kind of research you’d like to run, may I suggest the -1+2 Strategy. That is, author a research report that looks at how your industry has fared over the last twelve month (-1 year) or how it will look in the next two years. If you’re familiar with this blog, you’ll know this is a strategy we employ ourselves. This year’s How Engineers Find Information Research Report, a review of how engineers consumed engineering information in 2017, is well on its way to over 1,000 leads generated this year. Forward looking reports are always of interest to technical product buyers and decision makers because they want to know about what they should be planning for. Here are just a few recent (and upcoming) examples of reports engineering.com has authored. By providing relevant information about trends that will soon impact your industry you’re going to attract a lot of the people you’re looking to transact with. 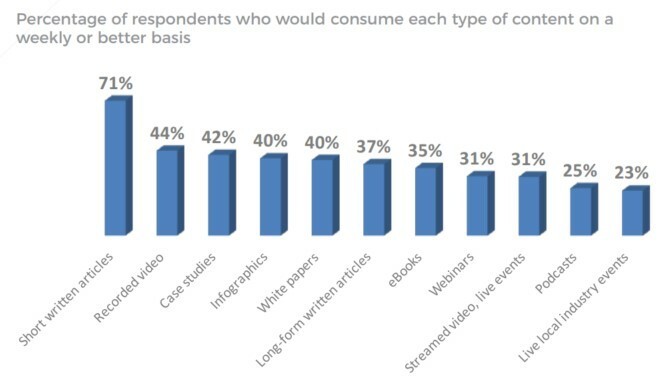 Best of all, the people most likely to download reports like this are generally valuable influencers within their organization, making the marketing impact of your research that much more potent. One word of warning – be careful in authoring research that contrasts your product with your competitors. Even if you have the irrefutably best product in your category, few people will truly accept your findings as you’re the author. If you’d like to sponsor product comparisons, look to have a trusted third-party conduct and disseminate the results. Assuming you come out looking rosy, you can incorporate the findings into a ton of marketing materials and few will question the validity of the findings. RankBrain cares about two things – whether you clicked on a link and how long you’ve stayed there. One way to really boost how long someone stays on your landing page is with video. And believe me, people will watch your videos. Research by Hubspot showed that when both text and video are present on a page 72% of consumers would rather learn about the product or service from the video. When engineering.com asked its audience of engineers about weekly content consumption, video ranked second overall. Considering that the vast majority of engineering content is still exclusively available as text, that’s a pretty powerful finding. Making a good quality B2B industrial video today is cheaper, faster, and easier than ever. This gives courageous marketers an opportunity to differentiate themselves from their competition. Courage is critical here, as the easiest and most common type of B2B industrial technology video is the product demo. Those are still important, but what about brand video (see below), expert Q&As, event videos, educational how-tos, or even just the repurposing your long form content into videos using a service like Lumen5? Unlike product demos, these other types of video are much more interesting to your broader prospect pool and not just those looking to buy today. As such, you can include them on a range of landing pages that either directly address the topic of the page or is tangentially related. Thinking in terms of the landing page for this blog post there are many opportunities to include video. At the highest level a video going over what is and isn’t SEO would work near the top of this page, a video summary of the three strategies for boosting your SERP results would make sense…right…about…here, as would a tangential application of video with the inclusion of a break down of some recent engineering.com’s research findings in the section above. If you made it this far, both my thanks and congratulations. This wraps v1.0 of the Ultimate Guide to B2B SEO for Industrial Technology Marketing. Why v1.0? Because this is a living document and we’ll be updating it over time, so be sure to check back every now and again. If you have any suggestions or questions feel free to drop them in the comment below or search me out on LinkedIn or through email.